Satisfaction Guaranteed! Our Testimonials say it all - this works wonders. Brown Recluse Spider Bite pictures. WARNING! Graphic images. Great for burns and lesions, but specifically directed at Brown Recluse Spider Bites, ESPECIALLY the lesions that don't heal. This really works to your satisfaction - guaranteed! This balm consists of special Native American Magnetic Healing Earth that helps bind and inactivate the poison, Essential Oils and Bee Propolis. It is naturally anti-microbial and skin regenerating. 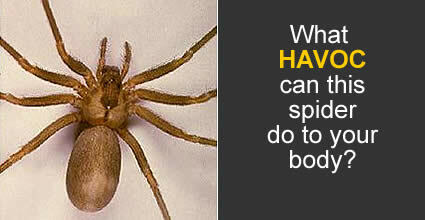 Ascended Health's Brown Recluse Spider Bite Treatment is a powerful synergistic mixture of special natural magnetic minerals and oils designed to inactivate poisons, fight infection and regenerate the dead necrotic skin tissue. Native American healing earth with trace monatomic elements that bind to poison, bee propolis, and a proprietary blend of wildcrafted organic essential oils. These ingredients are of the highest quality and harvested by hand. These oils have been imprinted with the universal healing frequency of 728 Hz using a modified Lakhovsky/Tesla multi-wave generator embedded with oscillators made from large double-tipped lemurian crystal mined from Minas Gerais, Brazil. While we cannot make any medical claims for this product to treat, cure or prevent disease, we are so confident that you will love our product that we offer a guarantee of satisfaction for one full year after purchase. Notice: Our products are hand made in small batches. Due to high demand, delays of 3-7 days may be experienced in shipping. Most packages are shipped within 3 business days of an order. We do our best to accommodate all orders as quickly as possible.